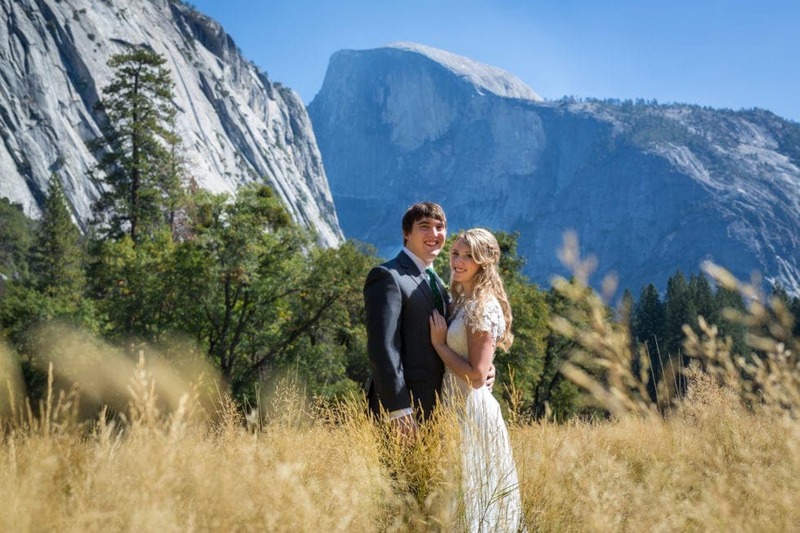 The 10 BEST Yosemite Wedding Locations! 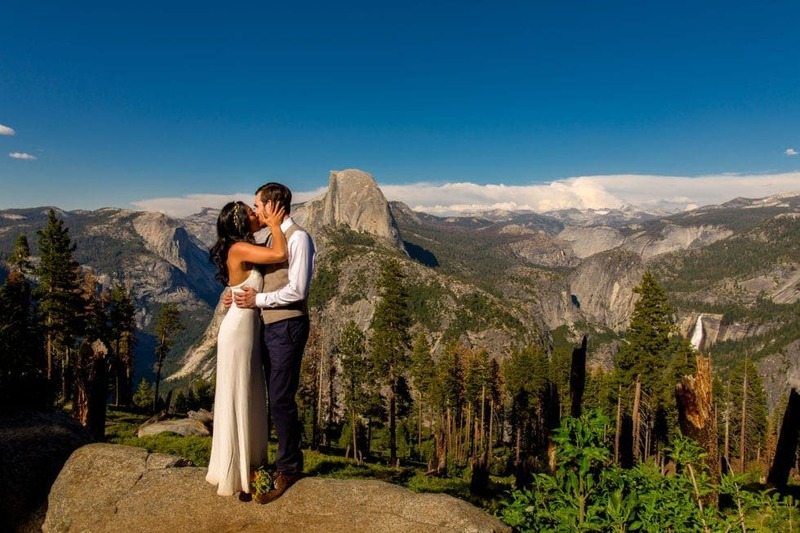 Ok, this is going beyond the 10 Best Wedding Locations in Yosemite National Park – I just couldn’t help it, there are too many places to choose from! 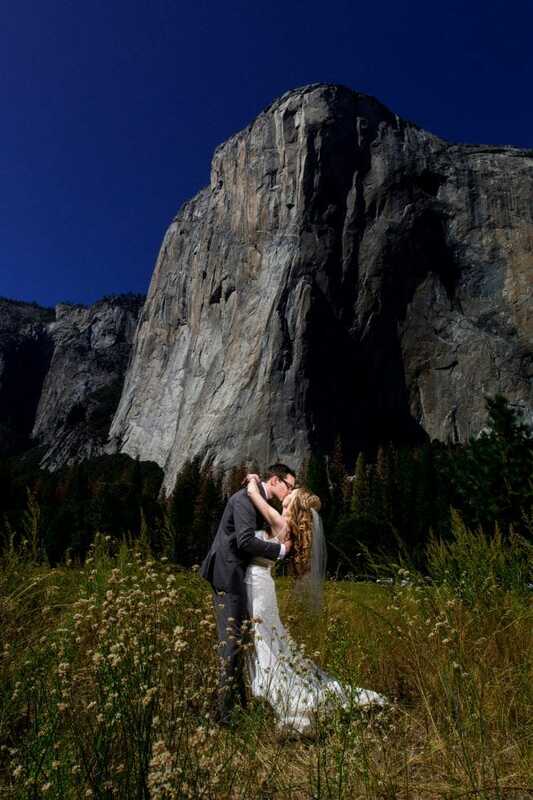 As far as adventure wedding photography goes, it’s tough to beat Yosemite National Park. 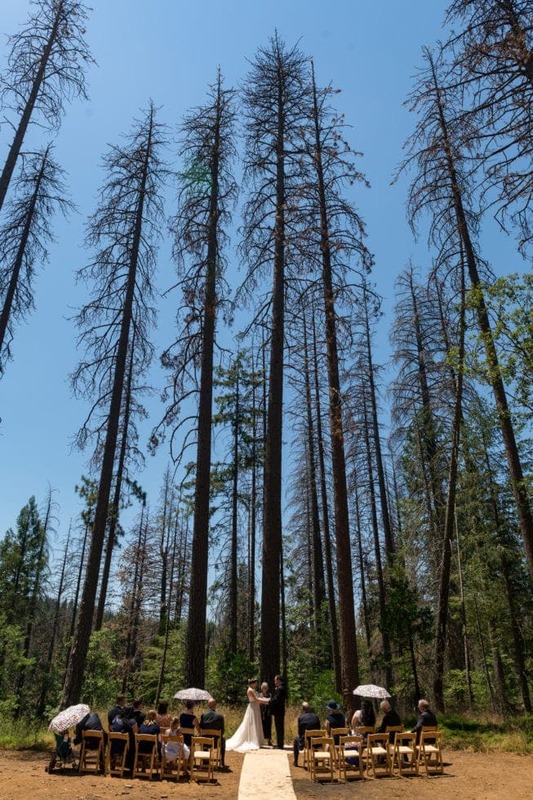 Yosemite has it all, mountains, lakes, GIANT sequoias, wild meadows, rivers, streams, hiking and backpacking trails, and EPIC views. 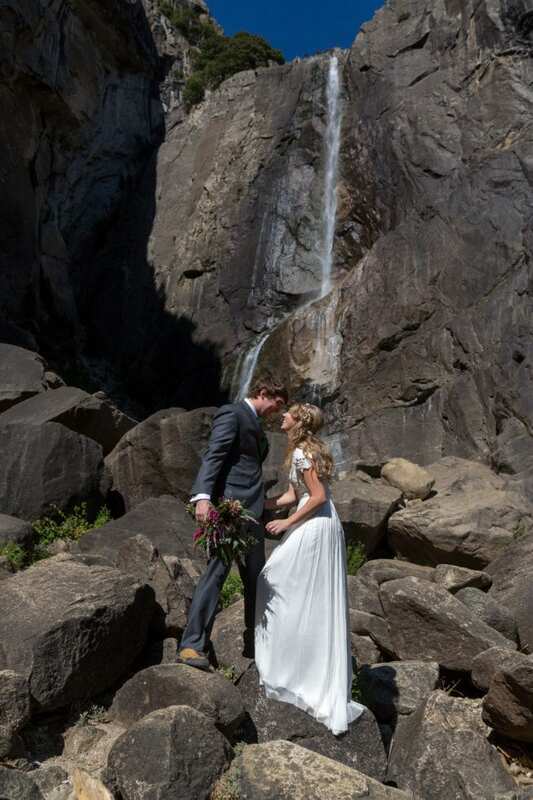 You’re sure to find the perfect spot for your adventure wedding or elopement! Since Yosemite is so close to where I live (that and my dad basically grew up there and took our family there every chance he had when we were children), I’ve spent a lot of time exploring and getting to know all of the great places it has to offer. 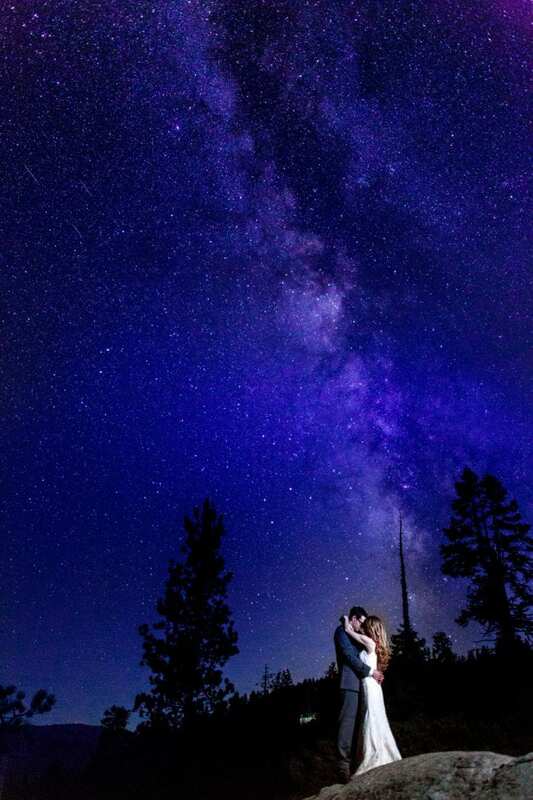 Hopefully this list will help you find where you want to take some rad adventure photos or hold your ceremony! 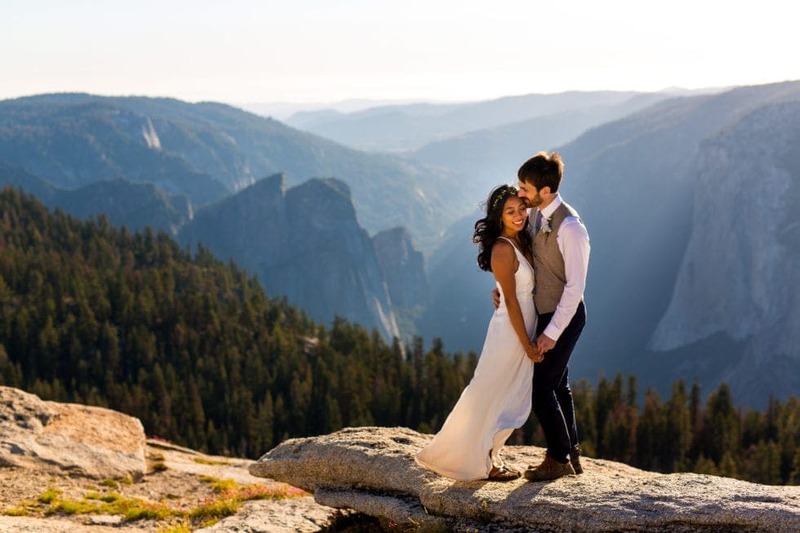 * When thinking about the best adventure wedding locations inside Yosemite National Park, make sure to keep yourself in mind: what you want out of the photos, your adventure level, what attracted you most to Yosemite, etc. 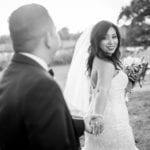 It can be easy to overlook some of your fears when thinking about the great photos you want! 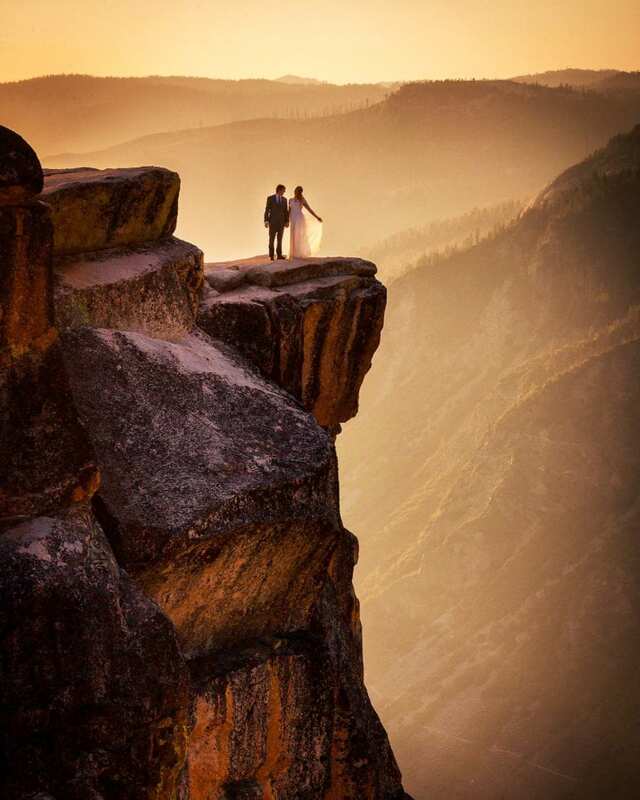 For example, if you’re afraid of heights, we can talk ahead about options that don’t require standing near the edge of a cliff (we can even get similar photos without standing anywhere near an actual cliff). 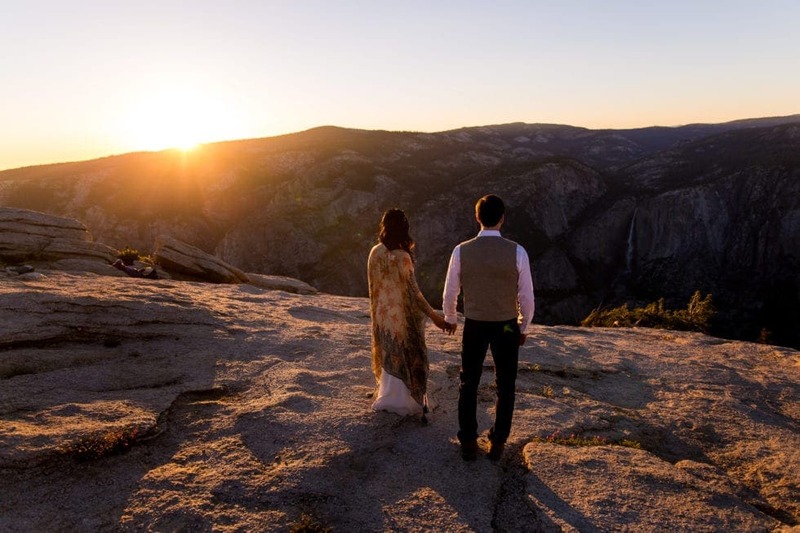 That said… let’s start with one of the most popular Wedding Locations in Yosemite National Park (which happens to be a cliff). 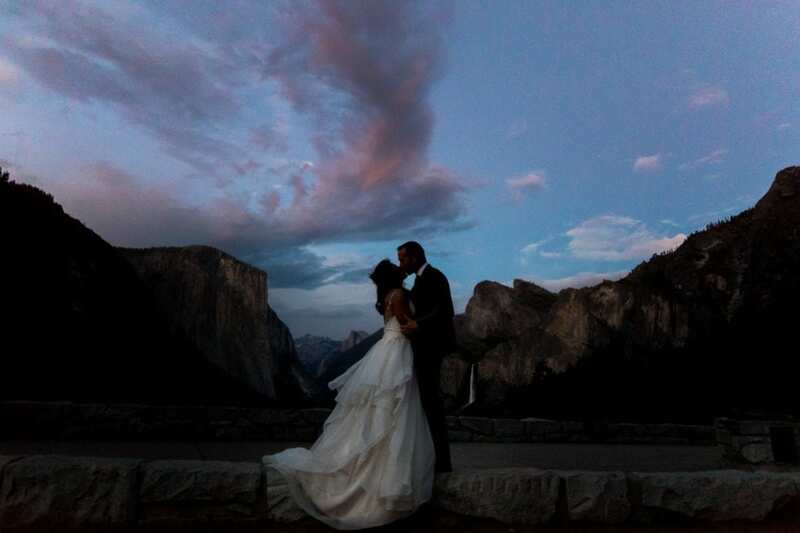 The best part about Glacier Point is that it’s gorgeous without having to hike at all! AND it’s handicap accessible. 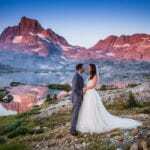 This makes it favored for elopements, small, and medium sized wedding ceremonies. 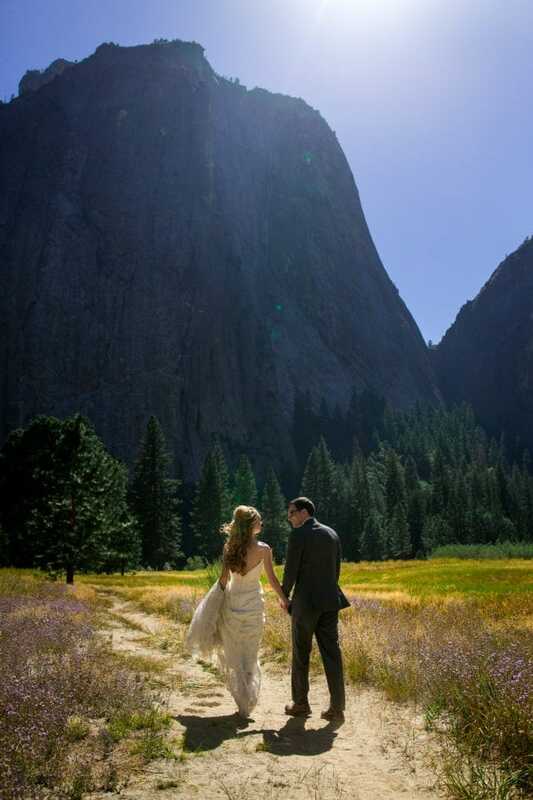 Keep in mind that this location is pretty popular with tourists and may not be the most secluded area for your wedding. That being said, a good photographer can still get some great shots. This spot is great for pictures at all hours of the day too! I especially love taking photos here at night and sunset. 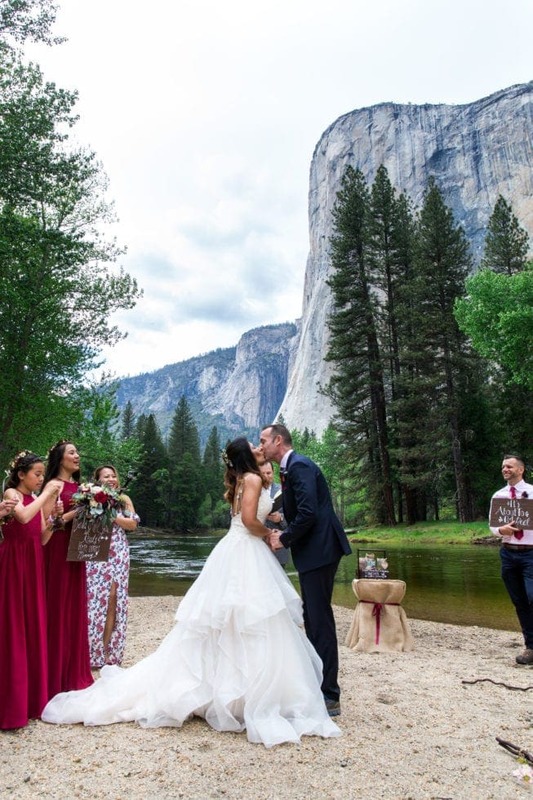 If you’re planning to have a lot of guests at your ceremony, The Majestic Yosemite Hotel (previously The Ahwahnee) offers beautiful backdrops and stunning views. 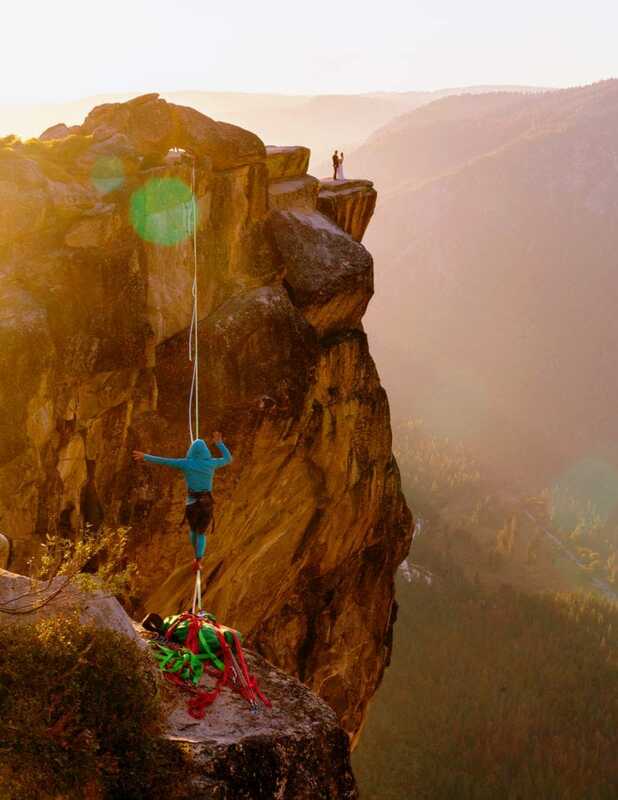 Epic views of Half Dome await you just a short walk away, or we can do a day-after session in the high country if that’s your thing! 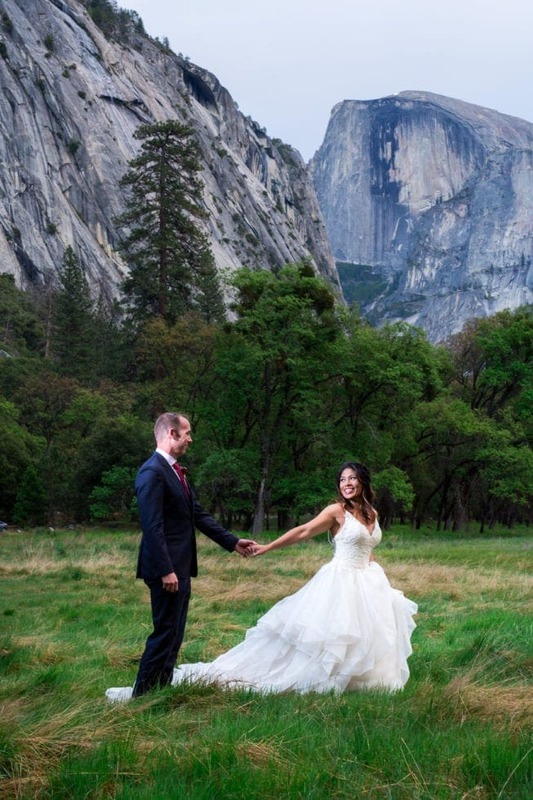 This is also the ultimate Yosemite Wedding Reception venue location. 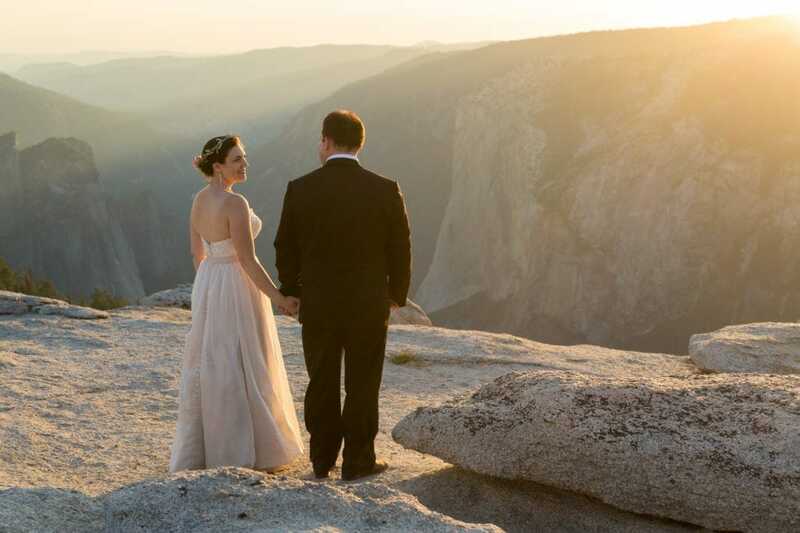 There are very few places in Yosemite National Park to actually have a proper reception – and this is one of them. It’s not just proper because of the size of the space, it’s STUNNING inside AND the food/wine/drinks are solid! Closed November through Memorial Day Weekend. Location closes at dusk from Tuesday after Memorial Day through October 31st. 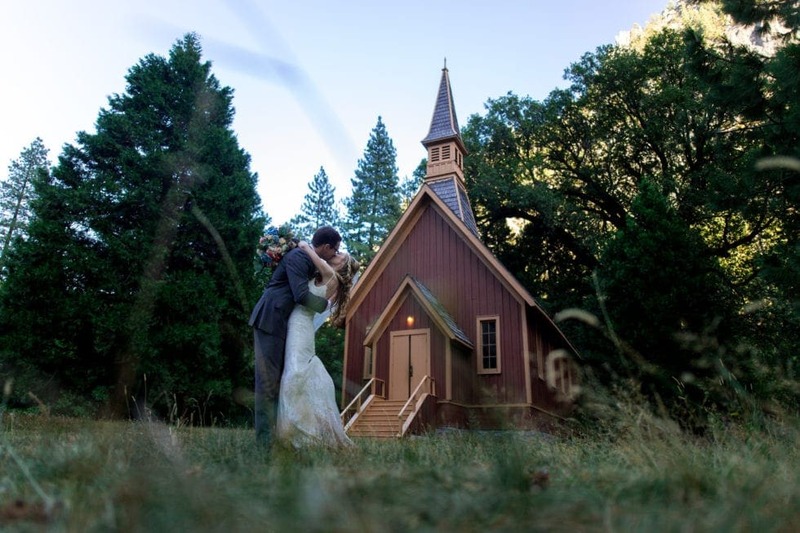 Yosemite Valley Chapel is a beautiful little chapel tucked just to the side of the valley. 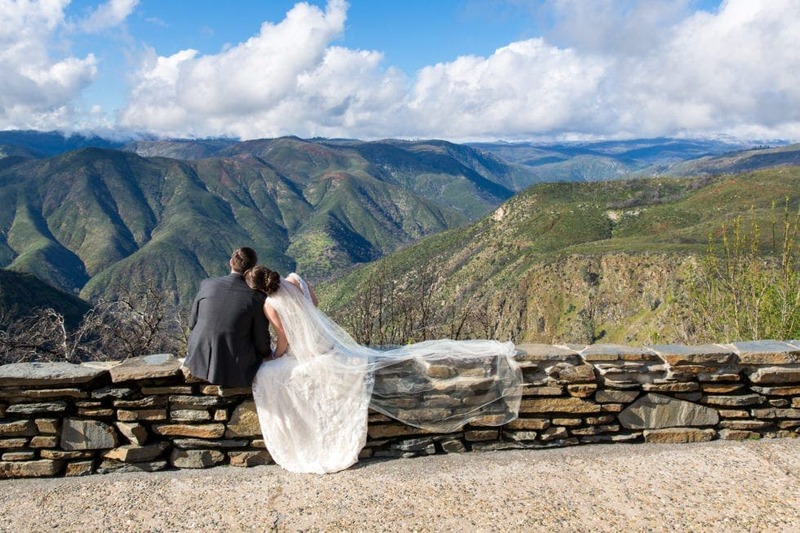 The chapel can hold approximately 150 guests, but couples usually get married there with immediate family and a pastor or officiant. If you have a bigger family and need room for more guests, this is the place for you! 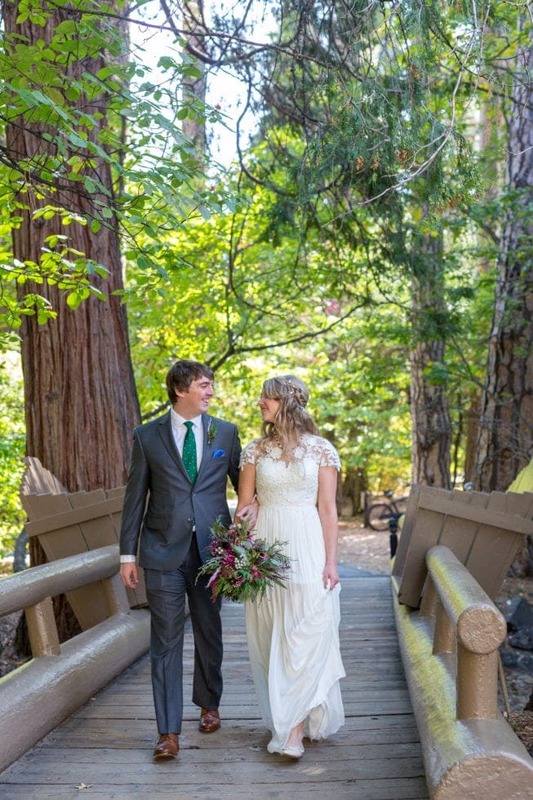 The great thing about Rush Creek Lodge is that they can easily accommodate plenty of ceremony sizes. It’s also near some great views and crazy places to take photos. 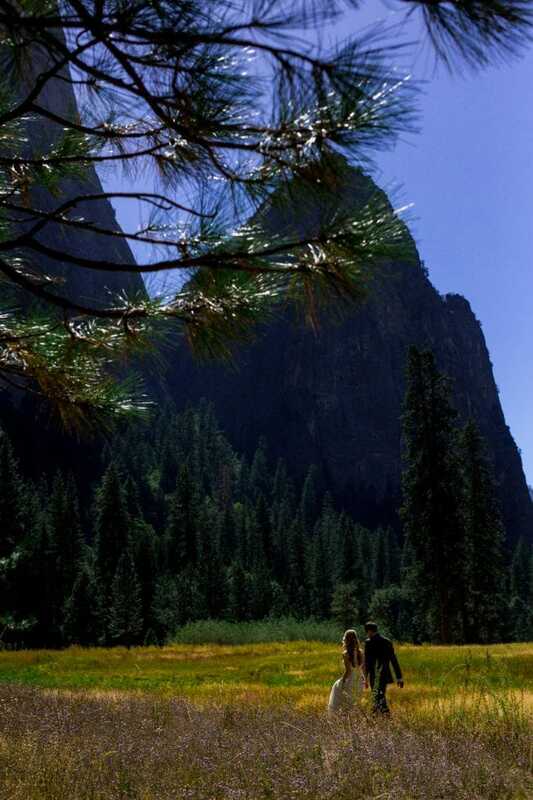 And – you have easy access to Yosemite National Park if you want to do a Day After session at some of Yosemite’s most stunning vistas. 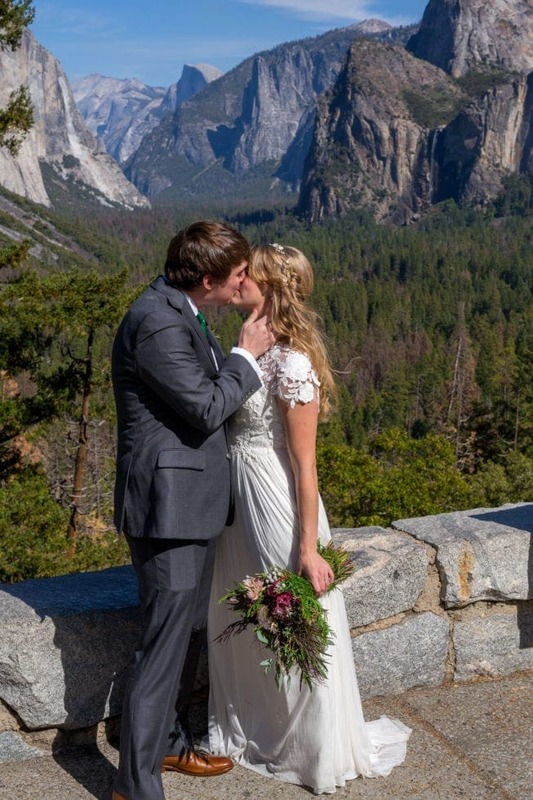 Whatever your plan, make 100% sure you get a permit and you stick to the rules so future couples can have a special wedding in Yosemite National Park as well.